Hi friends! Fall is in full swing and the holidays are creeping up so fast. Frankly, it’s kinda scary how fast this year has gone by. Today, I am excited to be collaborating with Lou Lou Boutiques on a special post for y’all. I am sharing four faux fur style tips – say that five times fast! And, the faux fur vest I’m sporting is in Lou Lou Boutiques’ stores and online. Fur vests can be such a fun way to spice up an outfit and add some interest your look. The tips below will help you style a fur vest now, at Thanksgiving dinner, through the holidays and well into the winter season. #2 – Pick a vest that accentuates your body. To keep you legs looking long, choose a vest that hits at your hips. On the flip side, if you have a short torso, try a vest that goes below your hips. #3 – When in doubt, opt for all black or neutrals. If your fur vest has a lot of color variation or a fun texture and you’re feeling unsure how to style it, pair the vest with black pieces to create a chic look that is perfect for the holiday season. You can also never go wrong with pairing a fur vest with jeans and a white turtleneck. #4 – Pair with chunky sweaters and cardigans. As the season gets colder, don’t be afraid to add layers under your vest. For the look I’m wearing, a chunky black sweater underneath the fur vest to make it warmer and winter-friendly. At the same time, my look would work just as well without the leather leggings I have on. Shop the Faux Fur Vest & the whole look! There are a few details I have to share about what I am wearing. The faux fur vest is reversible. The other is a sleek black (not fur) with a fur collar. The burgundy swing dress I’m wearing comes in 5 colors. Perhaps the best thing about these items from Lou Lou, is the prices. They have a great range of affordable items, that don’t compromise the quality. You may know from my most recent post, that that’s a huge win for me. 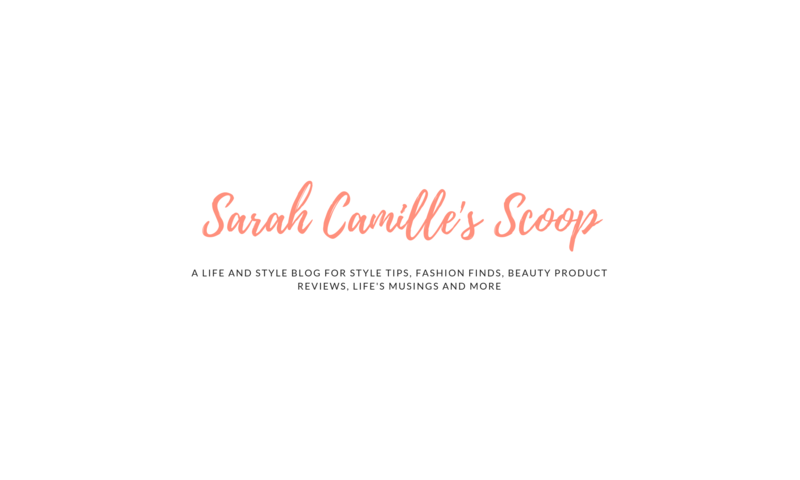 Hopefully, you find my style tips helpful as the seasons change and you’ll consider supporting local, small business, like Lou Lou, during the upcoming holiday season. I’ll be sharing more from my collaboration with Lou Lou Boutiques so stay tuned! In the meantime, I’d love to hear if you have any faux fur vest style tips for the fall or winter. What do you like to pair with fur vests? I would also love to hear what you plan to wear for Thanksgiving. We’ll be staying in the D.C. area, and I’m still deciding between a more comfortable look that involves stretchy pants and something more formal/constricting – ha! What do you prefer to wear on Thanksgiving Day and what will you be up to? Let me know in the comments. Labor Day has passed and that means the unofficial start of fall has begun! And while it still feels very much like summer in Northern Virginia right now, fall fashion will be here in full force before we know it. You may be tempted to pack all your summer clothes away, but you can get much more out of your wardrobe when you keep a few summer items out as the seasons change. Some pieces clothes can be styled for fall weather more easily than others. One of my favorite summer pieces to wear into the fall are those pretty, bright floral dresses I love wearing all summer. They’re too fun to pack away just yet, so let’s dive into some tips on how to transition summer dresses into the fall! Before we get into the tips, here is the dress styled for summer. I got this yellow floral dress because I loved the wrap style, length and sleeves. During the summer, I have worn this dress with the sleeves pushed up. I also paired the dress with light, neutral accessories. Opt for heavier or bulkier pieces. The purse and shoes I’m wearing for fall have a heavier more substantial appearance. This creates a more appropriate look for fall. I chose a blue jean jacket and red purse to style for my fall look because they play off the colors in the dress. The thicker, heavier sandals I am wearing can also be switched for booties when the weather gets even colder. There are similar dresses here and here. Affordable Find Alert!! The red bag I’m wearing is a dupe for the much more expensive Celine version. It is available on Amazon for 10% of the designer price tag. I was intrigued by all the good reviews and it has lived up to all of them! I would love to hear how you transition summer dresses or other pieces into the fall. Do you have a similar floral dress from the summer you’ll wear into the fall? What are your favorite pieces to get you through the summer to fall transition? Let’s chat in the comments!